OK, not infinite area, exactly – but a greater area than any specified area, no matter how large – which is what infinite means, in practice, I guess. Seems to work the same for each . 1. 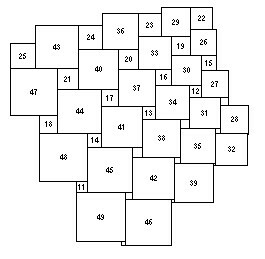 Begin at bottom right corner of an square grid. 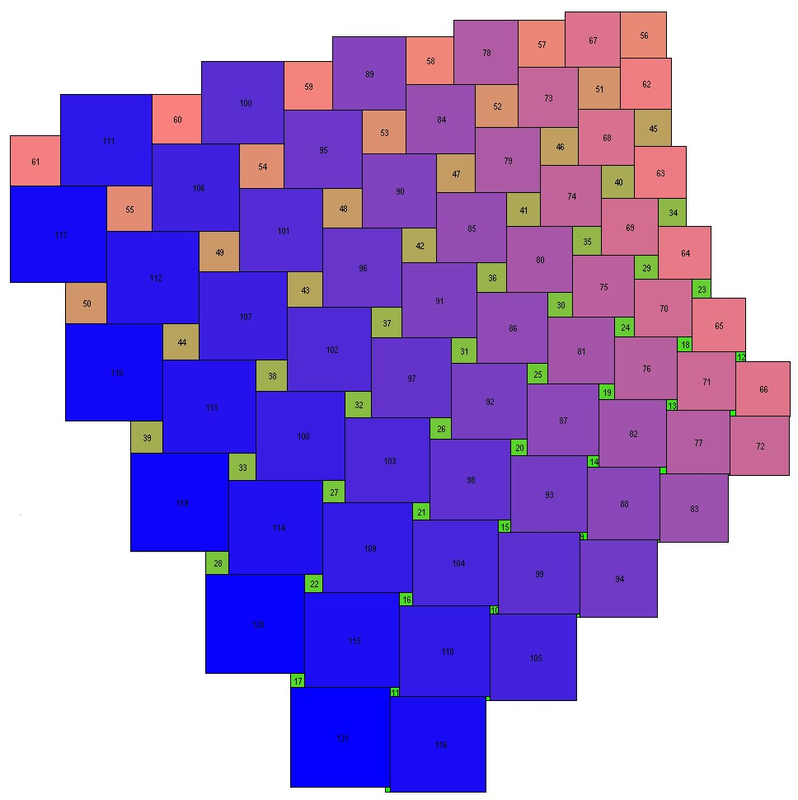 Number every second square leftwards across the bottom row, in a checkerboard pattern, i.e. 1, (gap), 2, (gap)..etc. Then across second bottom row. Continue R to L across every row. Finish at top left with . 2. Start at top right, going down the columns, filling the remaining gaps, and moving R to L. i.e. first the rightmost column. 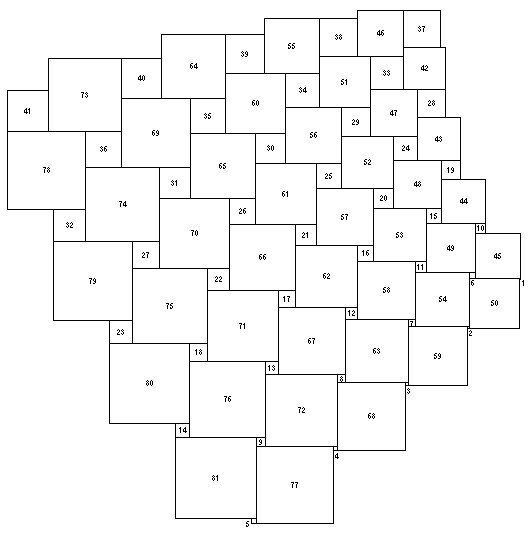 Top square is already filled, put in the second row, the next number in the fourth etc. 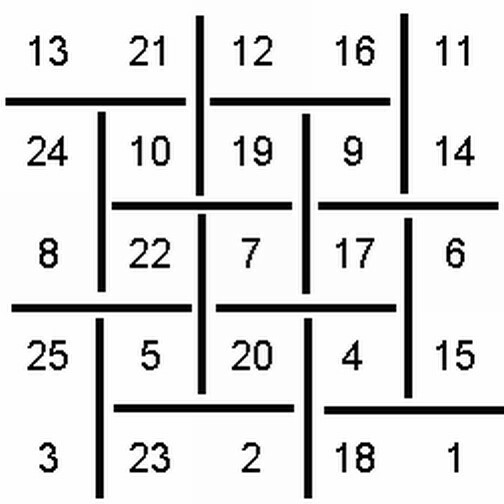 Squares are arranged with what I call alternating h-lines and v-lines, shown as black lines in the picture. An h-line is a horizontal line segment with two squares on each side of it, a v-line, a vertical line segment with two squares on each side. The arrangement has a h-line on the top left, v-line on the top right.